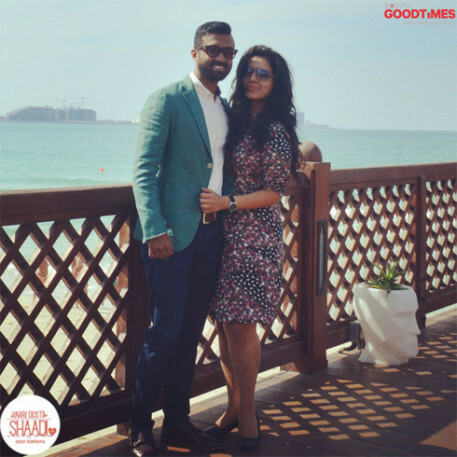 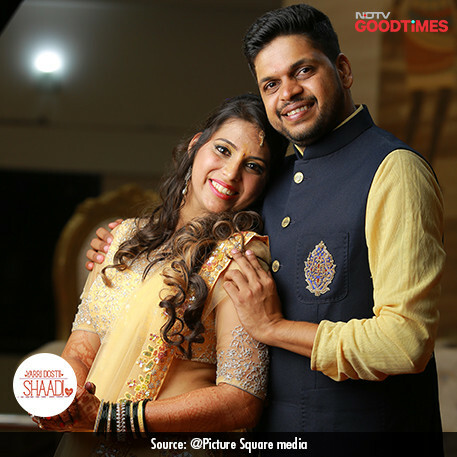 Vaibhav and Divya met each other for work purposes, but neither of them had predicted that they would end up becoming best of friends. 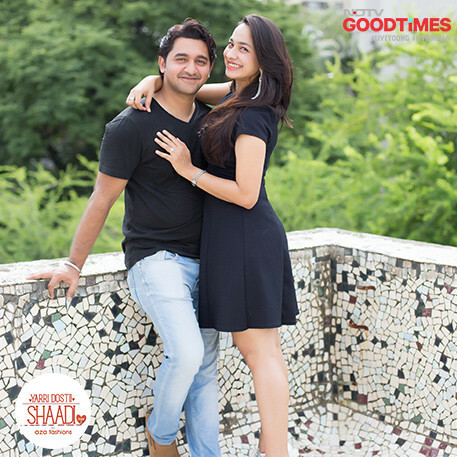 As they started spending more time together, they discovered their common love for travelling. 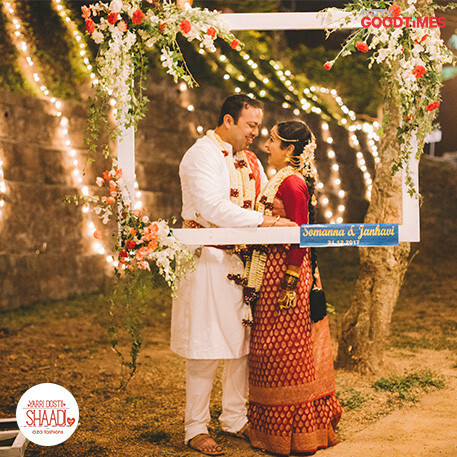 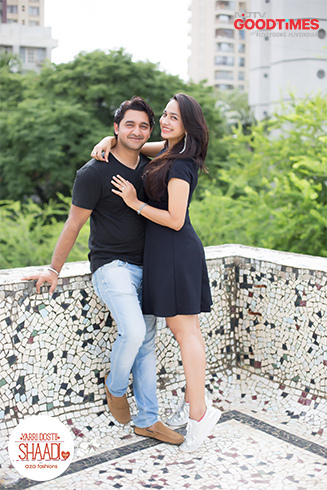 On one such trip to Sri Lanka, a dubious Vaibhav popped the question and Divya said yes. 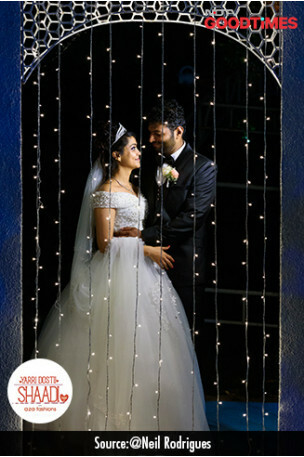 Thus, their love story began. 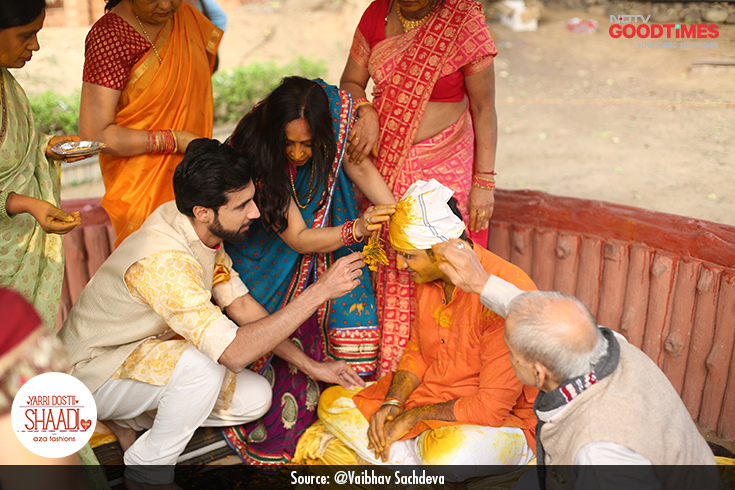 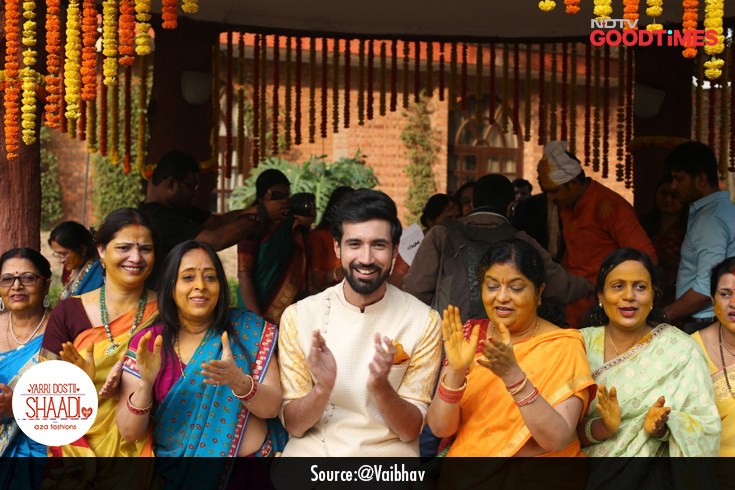 Aalekh too steps in to put haldi on Vaibhav along with his friends and family. 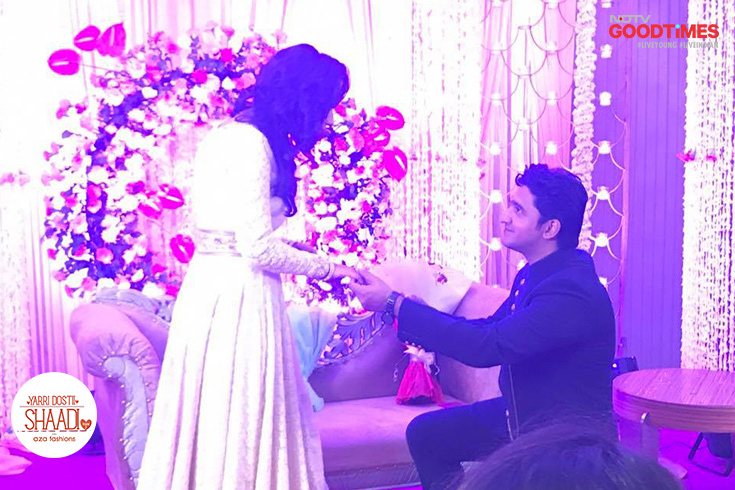 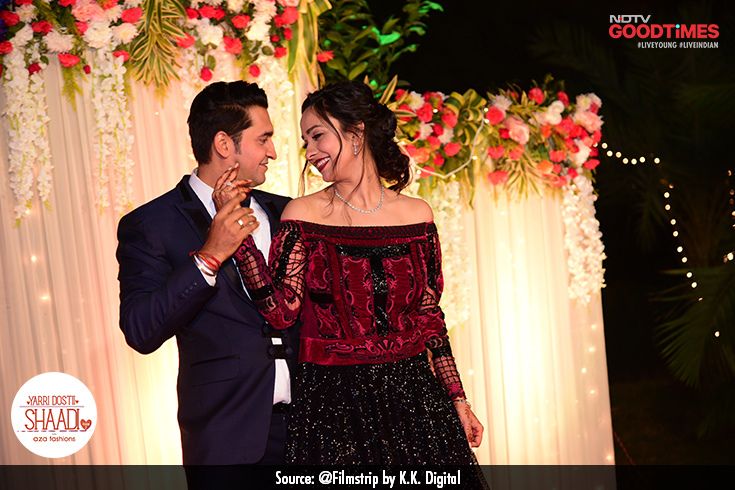 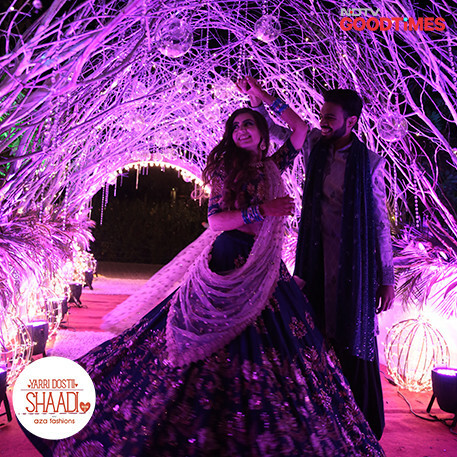 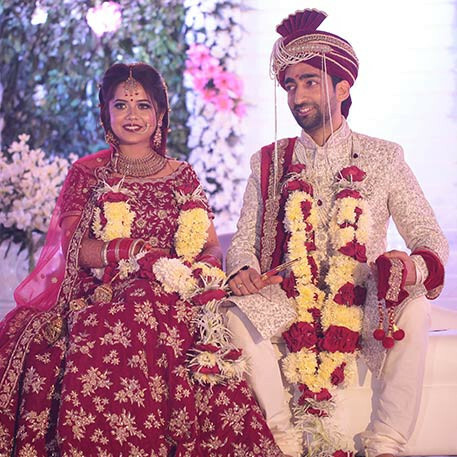 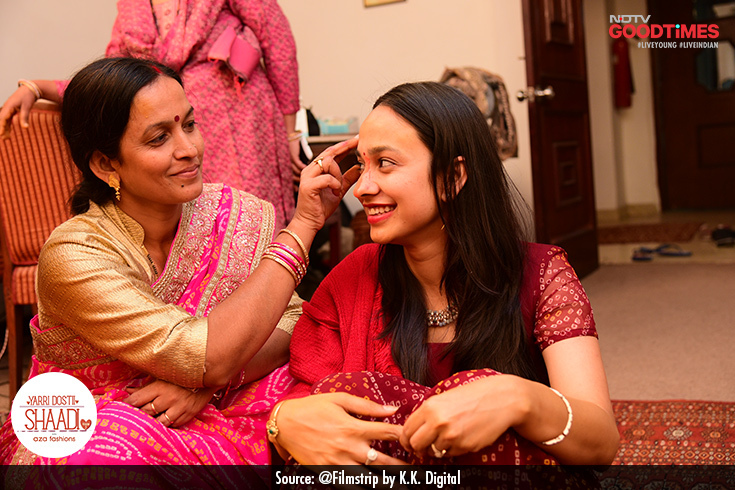 After her mehendi, Divya poses with Vaibhav for an adorable photo session. 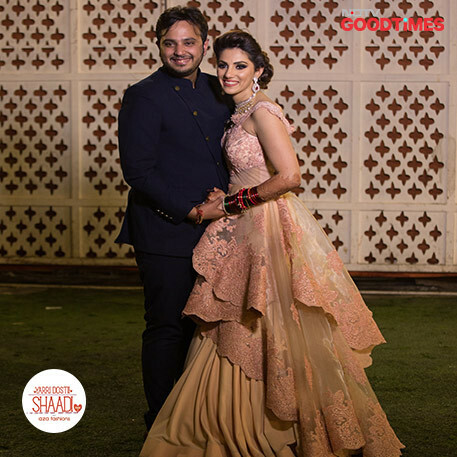 Our fourth couple on the show, Divya and Vaibhav, visits our style expert, Devangi Parekh at the Aza store to pick out their sangeet outfits. 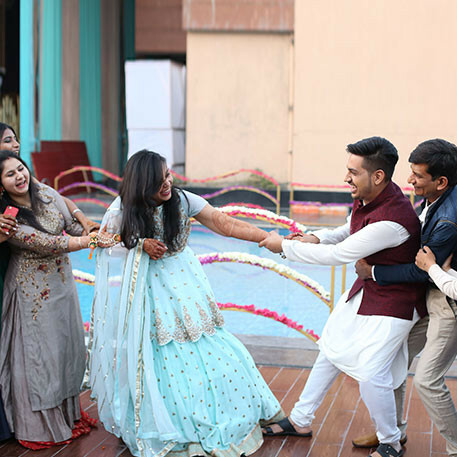 As is obvious in their eyes, Divya and Vaibhav express their love for each other while swinging to the sound of music, as their friends and family applaud. 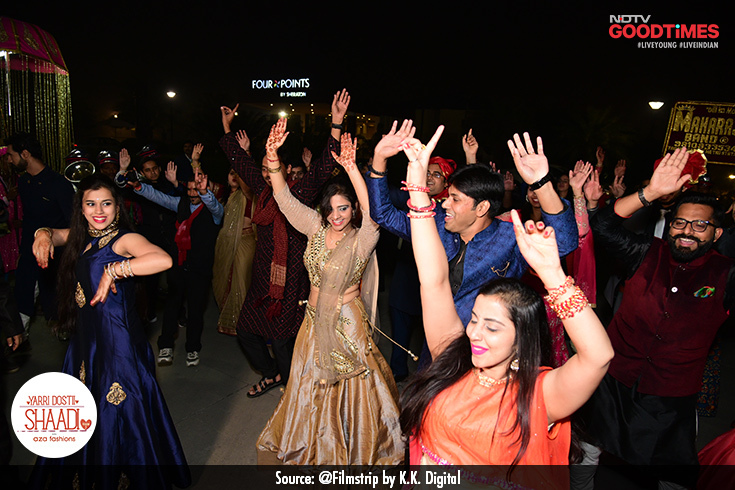 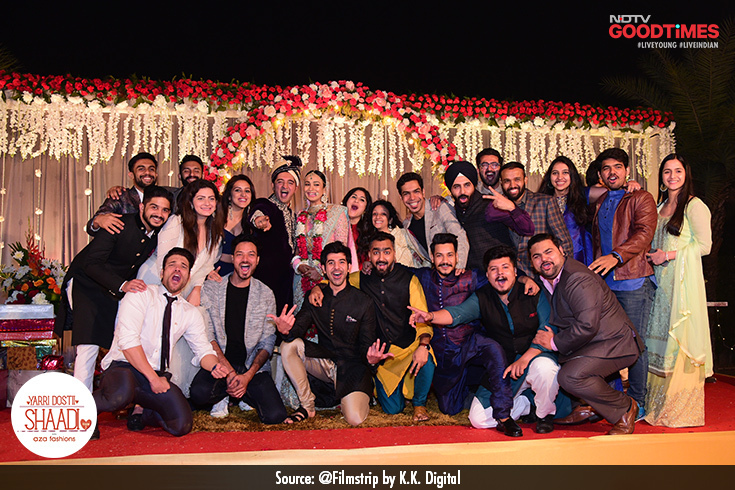 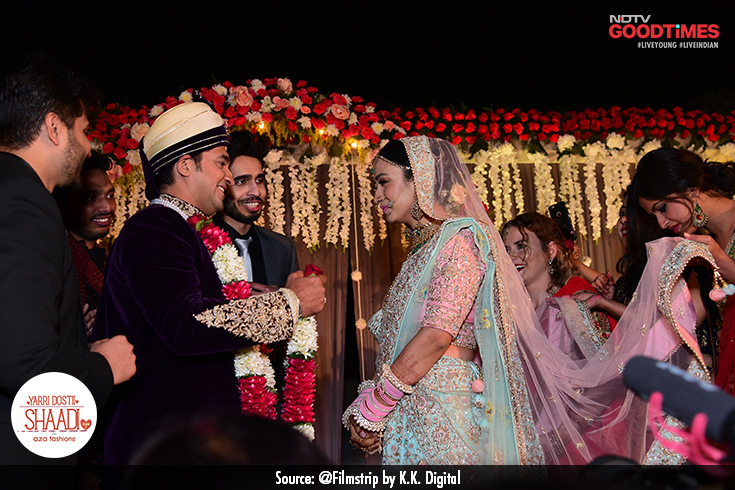 Vaibhav’s baraat comes in with swag as his friends and cousins perform a flash mob on lively Punjabi songs. 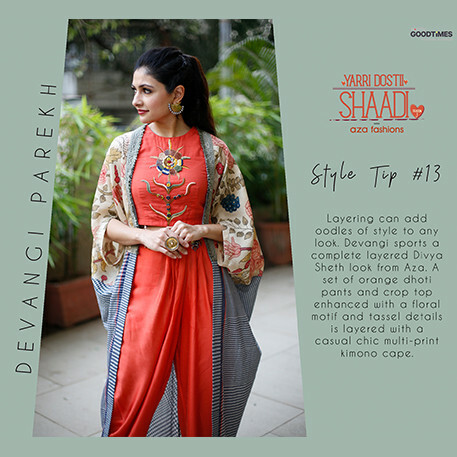 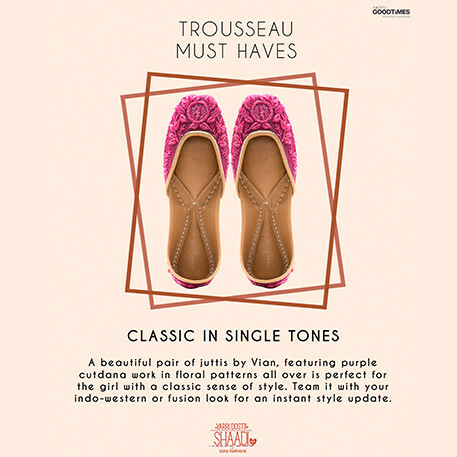 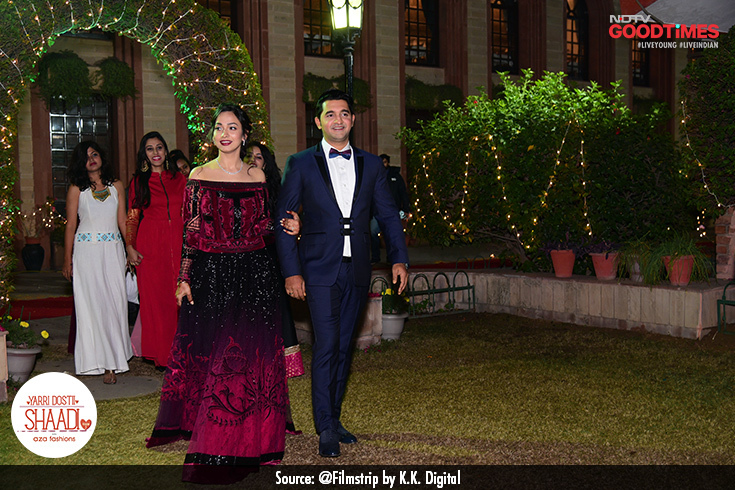 Divya does not leave any stone unturned to match her groom’s entry. 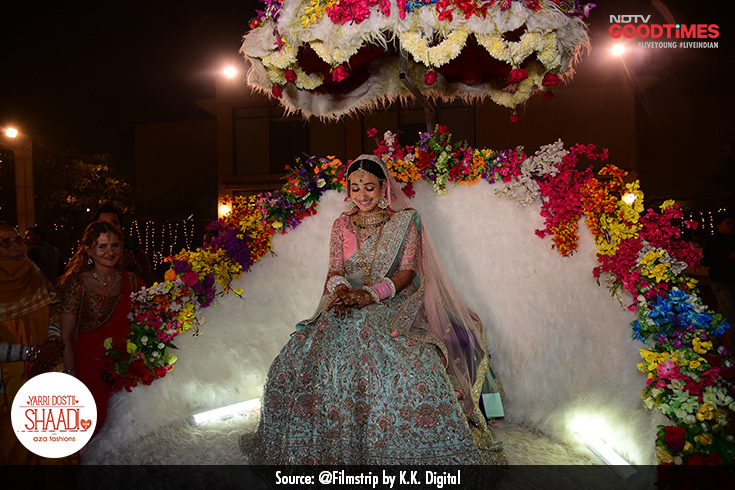 She too makes an entrance on her fairy-like chariot, like the royal she is. 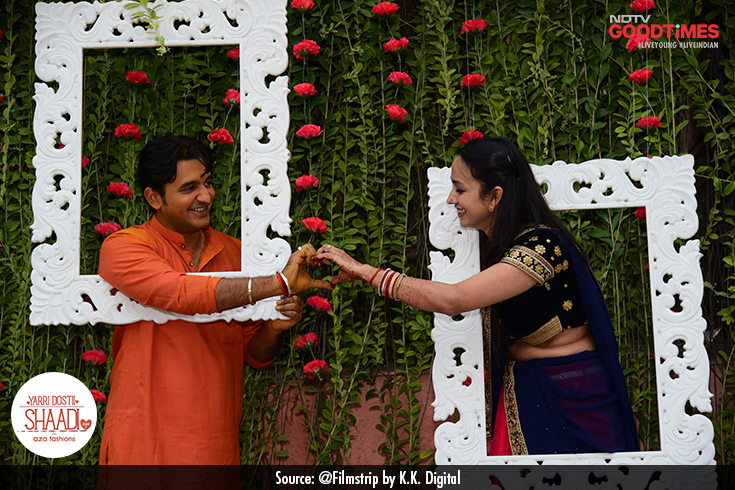 Vaibhav and Divya exchange the varmala, denoting the commencement of the matrimonial ceremonies. 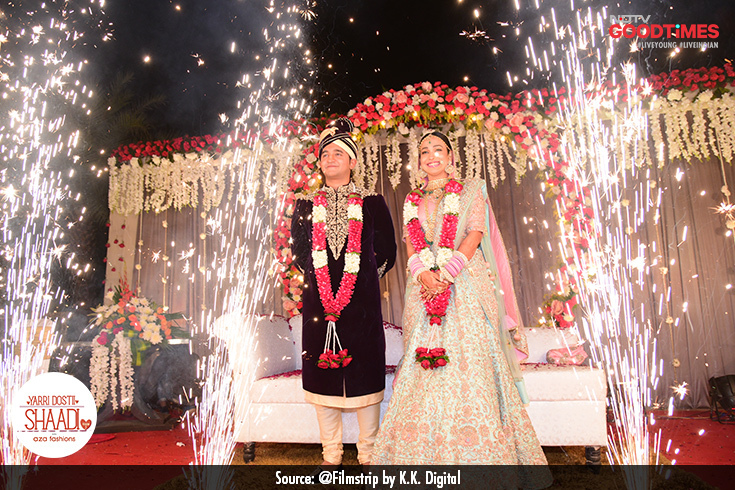 Our happy couple celebrates their union with beautiful fireworks. 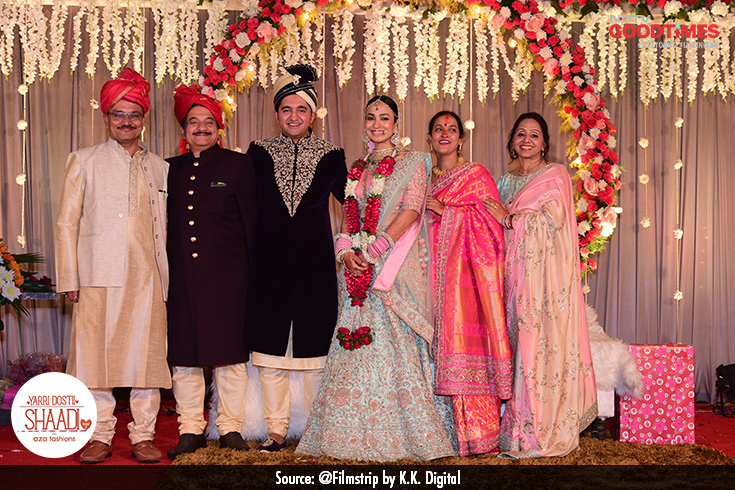 As two families become one, Vaibhav and Divya strike a pose with their parents. 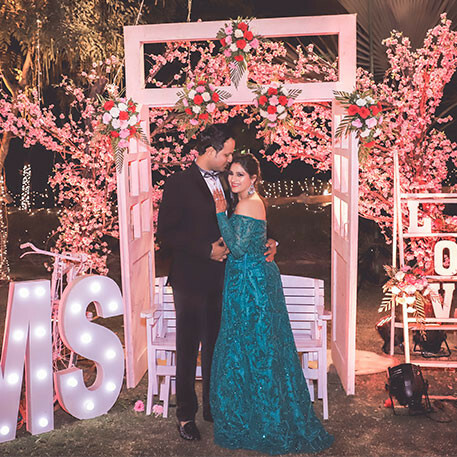 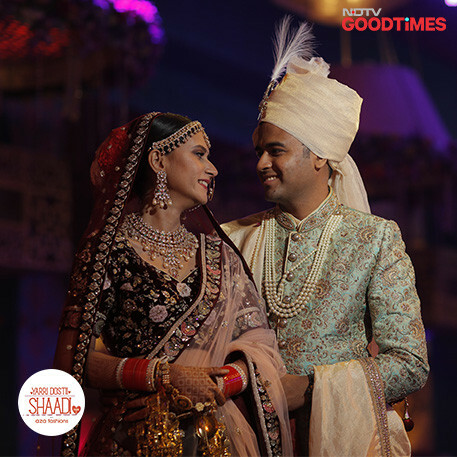 Divya and Vaibhav’s friends are only too excited to have been part of their beautiful journey from lovers to life partners.